The connection between a mother and a baby begins from the moment of conception. With the mobile application Yokko, women are able to better connect with their children throughout their journey as one. The application is designed to track the baby’s size, weight, heart rate, movement, and positioning. A wearable strap accompanies the application to ensure the data is personalized. 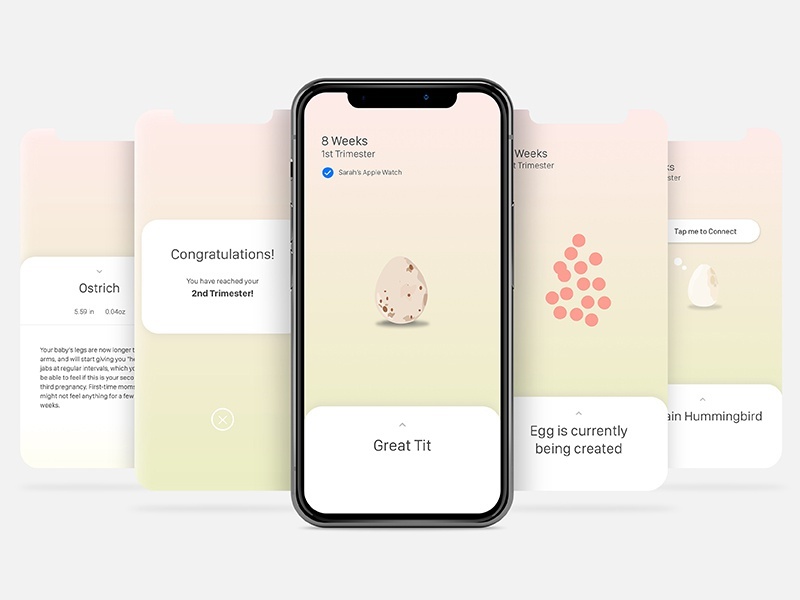 This data is then visualized via the image of an egg – as the baby develops, so does the imagery. Yokko enables parents carefully monitor their baby’s development without having to leverage medical personnel. In addition, if complications do occur, Yokko can help those expecting discover complications sooner and action them more readily. Yokko is available on both mobile and watch applications.